Have an issue with deer, rabbits or moles ruining your yard or garden?! 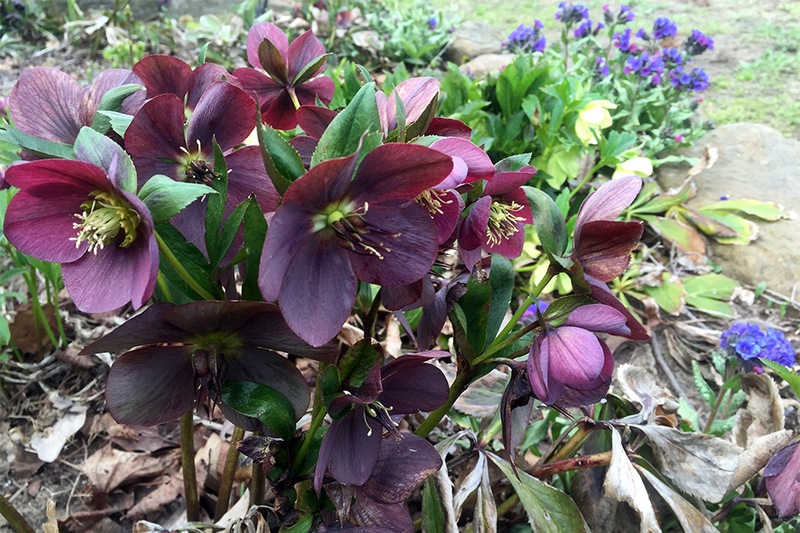 Hellebore will repel those rodents, they’re a great companion to any woodland garden! 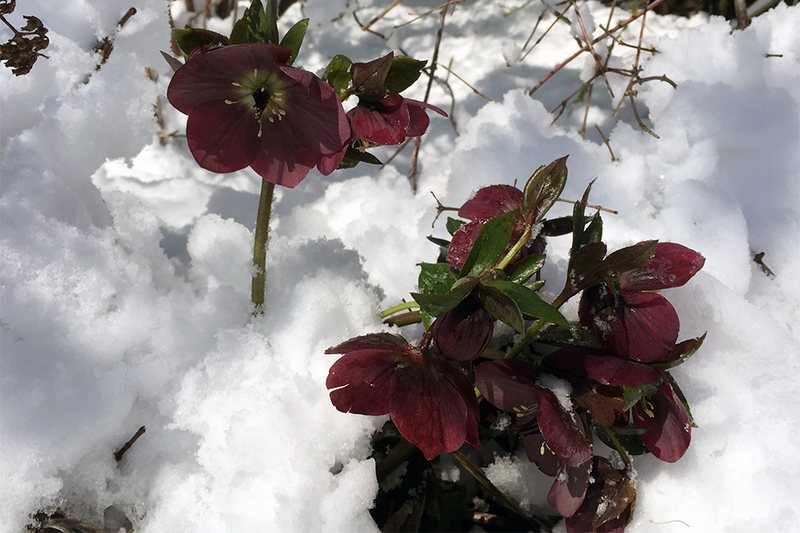 Just because they are an early bloomer, doesn’t mean you have to be worried about an April snow ruining their blooms… check this out from a few weeks ago when Northwest Ohio received a decent 6-8 inches of snow. Before and after! These guys are very tolerable! 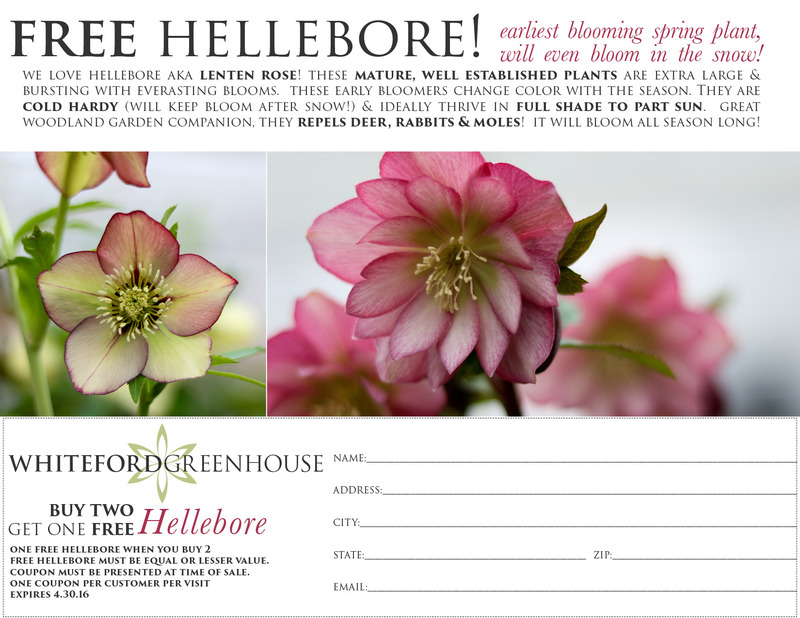 At Whiteford Greenhouse, our Hellebore are mature plants, grown at least 3-5 years before you take them home. 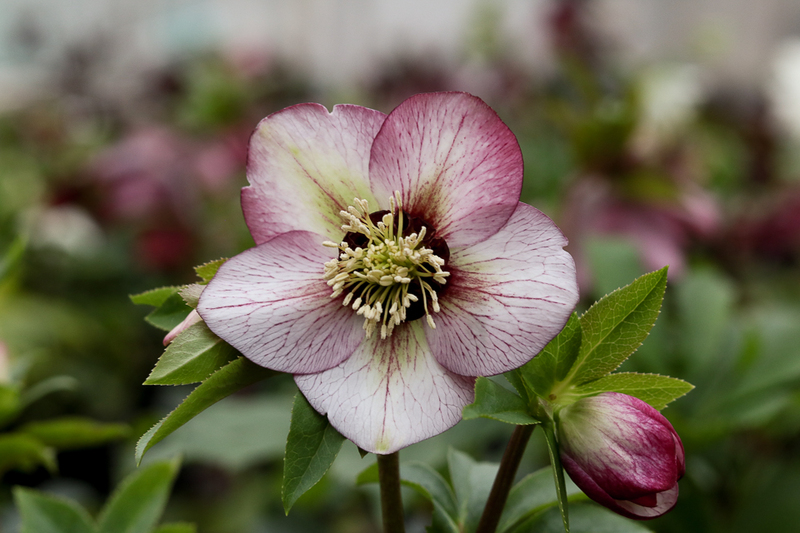 This maturity aides in their low maintenance and tolerant personalities. 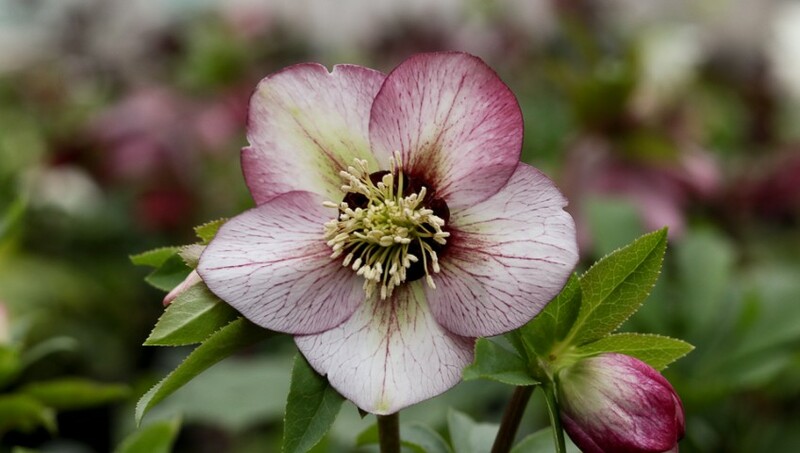 It also ensures everlasting blooms through the entire year! 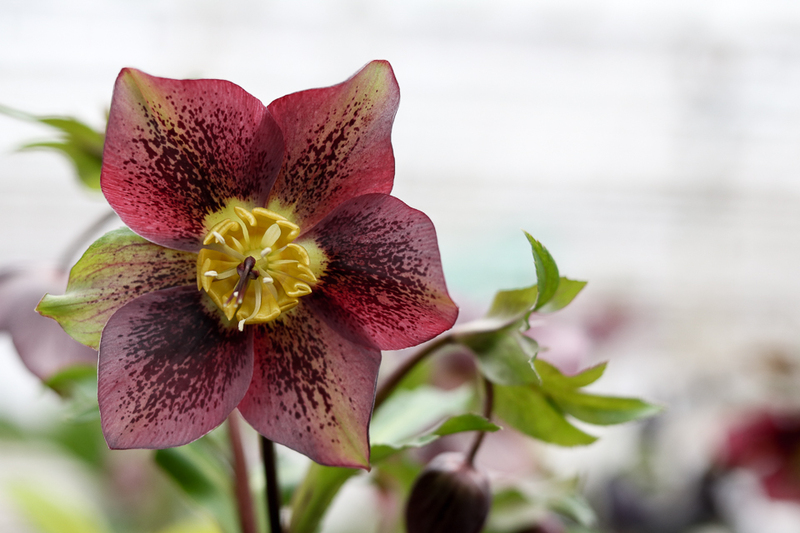 Take a peek at just some of the varieties we carry at Whiteford Greenhouse!